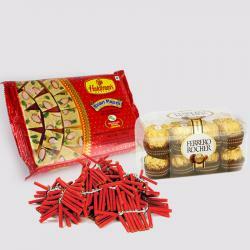 Product Consist : Cadbury Celebration Chocolate Pack (Weight : 118 Gms) Box of Kaju Katli (Weight : 500 gms) along with Red Fire Crackers (Worth Rs. 200/-). 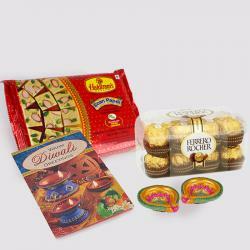 Enjoyed Festive sweetness treat with Celebration Chocolates and Soan papdi and twinkling of crackers celebrate the auspicious occasion of Diwali and New Year with your friends. Fire up the crackers and make their lives full of positivity and happiness this diwali. 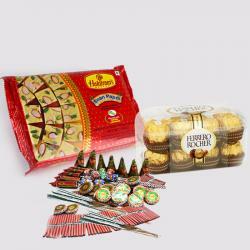 This hamper Gifts serve as a perfect occasion treat to express your feelings make their day more cherisable. 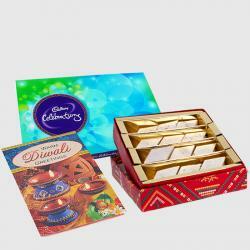 With the hands full of love and blessing gift this amazing pack to your friends or relatives. 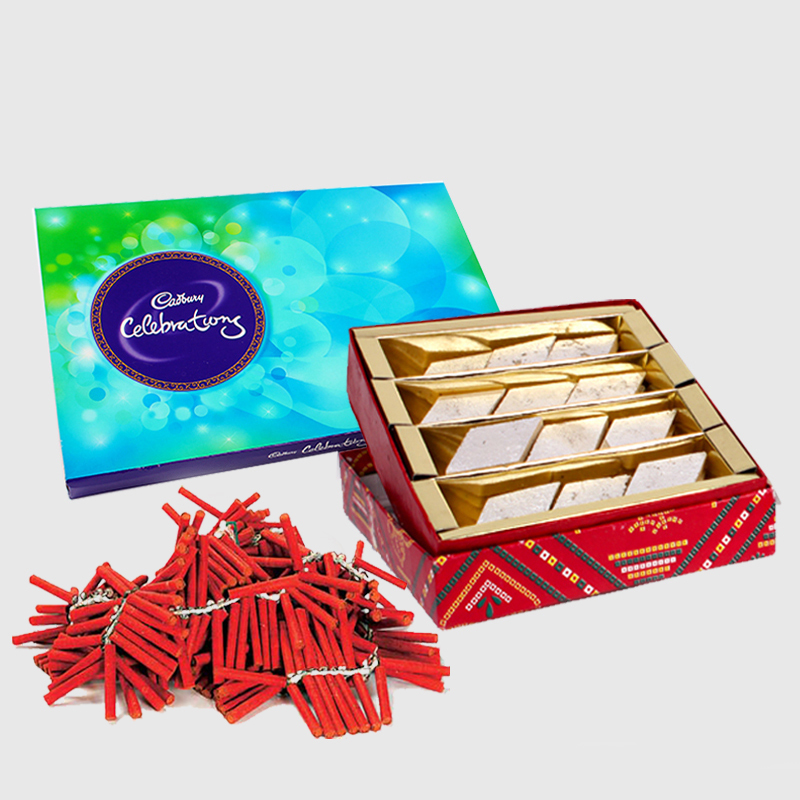 Product Details : Cadbury Celebration Chocolate Pack (Weight : 118 Gms) Box of Kaju Katli Sweet (Weight : 500 gms) and Red Diwali Fire crackers (Worth Rs. 200/-).